"Paradise English Boraсay - 7% discount on any course"
Paradise English conducts carefully chosen English courses with quality topics in real time and real life. We set the stage for you to learn today so you are prepared to use your new English language when you leave the classroom. 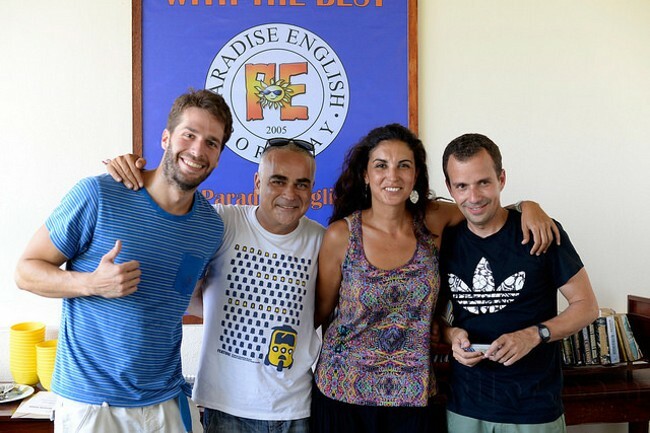 Paradise English has many opportunities for you to study in: group classes, one-on-one tutorials, aqua sports, cultural shows and many indoor and outdoor activities. Use the language skills you learn in the classroom when meeting people from a variety of countries the same day! Paradise English offers English courses in a family-like environment. We care for our students like family. Feel at ease in the presence of administrators, teachers and support staff that deliver excellent service to complement your learning experience. We assure you of learning in an environment that is fair, firm and friendly. *Total of 15 Lessons every week. The General English Program gives you the familiar feeling of being a regular student again. Having 5 classes a day will definitely improve your English language ability. Classes are designed to target the specific language skills you need. You will study General English, Topical Conversation, Vocabulary, Grammar, Reading, Discussion and Writing. *Total of 25 Lessons every week. *Classes are taught by Experienced American, Canadian, British, and Filipino Teachers. Intensive English Program is the fastest way to improve your language skills. This program is most popular with students who are studying the English Language for employment or academic purposes. Students immerse themselves in an English environment, interacting with teachers and multi-cultural classmates. Group classes are designed to target language skills and one to one classes allow more time to focus on individual language requirements. Our multi-level program will ensure that you have new challenges and fast results in your English ability. You will study General English, Topical Conversation, Vocabulary, Grammar, Reading, Discussion and Writing. *Total of 30 Lessons every week. Junior English Camp Programs which run from 2 to 12 weeks are designed for students between ages 4-17 wanting to improve their English language skills while enjoying the summer or winter break in their countries. In addition to improving your conversation skills, you will increase your vocabulary and enhance your fluency. Class activities may include debates, guest speakers, forums, media (news clips, talk shows and interviews), contact assignments, class exchanges, oral presentations, problem solving activities, field trips and useful every day phrases. Students are encouraged to participate actively in class. This True English Beginners’ Program aims to build and develop the Basic English knowledge of students that have very little or no English ability. The focus of this program is to provide students’ with Everyday Vocabulary and Expression, Basic Grammar, Speaking, Reading and Writing Skills to Function in Simple Daily Life situation. *Total of 25 Classes every Week. English for Business, FCE, CAE, TOEIC, IELTS and TOEFL. 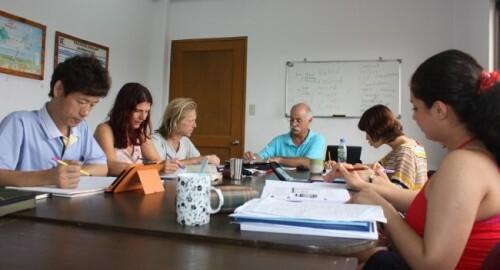 Due to the diverse use and function of the English Language, Paradise English also offers programs for special purposes. Perfect your Business language skills in English or prepare to score higher on your CAE, TOEIC, TEFL and IELTS tests. *Total of 20 Lessons Every Week. The Intensive (Bildungsurlaub) English Program is an English language learning program accredited by the German Government. It is the fastest way to improve your language skills. The Intensive program is most popular with students who are studying the English Language for employment or academic purposes. We offer 1 week and also 2 week courses for 2 years of employment. *Total of 35 Lessons every week. 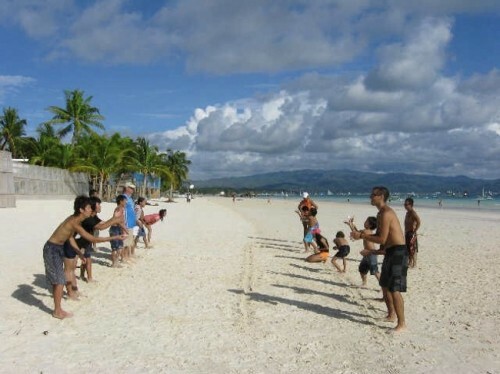 Boracay Island is one of the leading kite boarding destinations in the world. Paradise English offers students a package that includes English and kite boarding package to suit beginners to advanced students. Students can enroll in either Budget or General Program and take any Kite Boarding Course. *Total of 15 or 25 Lessons every week. *Kite Boarding Lessons depending on your level. Paradise English offers an English and scuba diving. Immerse literally in the amazing world of sea creatures in one of Boracay’s best diving schools. Choose from Discover Scuba Classes up to PADI Dive Master Programs where you can earn a variety of certificates. This is like hitting two birds with one stone. You get to enjoy the natural wonder of undersea Boracay and work on your English fluency. This is just one of the added benefits of our English and scuba diving course. Students can enroll in either Budget or General Program and take any Scuba Diving Course. *Scuba Diving Lessons depending on your level. 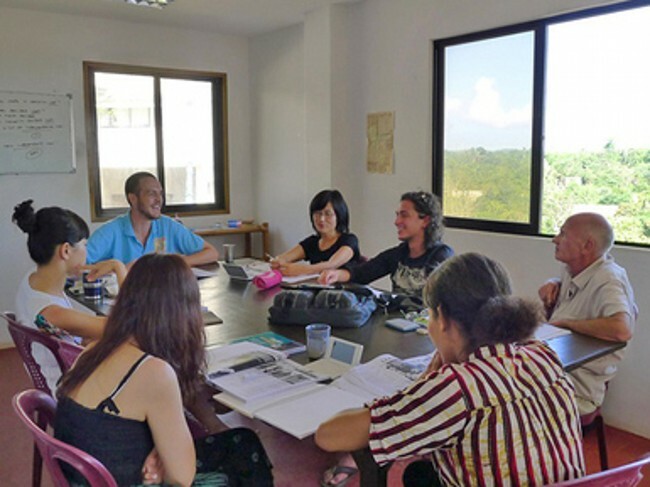 The TEFL (Teaching English as a Foreign Language) program is a course designed for people who want to teach English to non-native speakers of the language. The course is for both native and non native speakers of the language. Due to the growing BPO business, TEFL teachers who knows how to teach English became a popular demand. 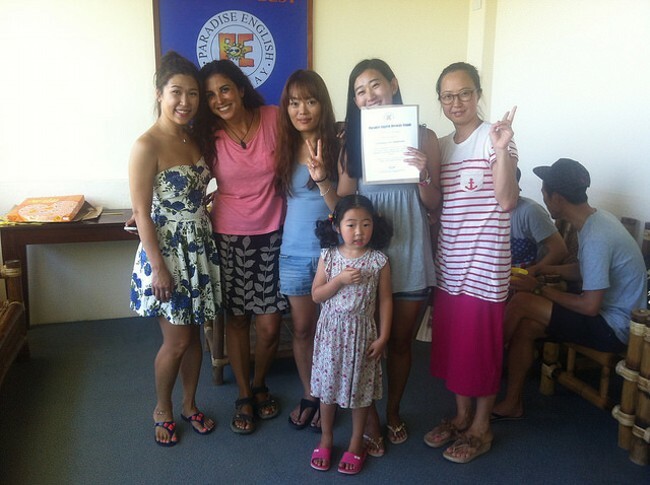 Paradise English offers a 20-Day TEFL training program. This program covers different areas of the English language and at the same time teaching the English language. Trainees are exposed to the different method of teaching both modern and traditional. They are also given theories related to the Cycle of Learning and the Process of teaching. For students who do not want to stay in the classrooms, Paradise English also offers one to one tutorials in the comfort of their hotels or apartments. Our one to one English tutorial program is a custom designed program that focuses on the learners’ English language learning issues. One to one classes include grammar, vocabulary, reading and speaking. Paradise English also offers one to one tutorials in learning English for special purposes. The program can be for IELTS, TOEIC, CAE, FCE, or business English tutorials. One to one English tutorial is also popular for parents on vacation with their children. Having a great time on the beach with a little bit of English lessons is surely the best way to spend holidays. Lessons can be from basic English, intermediate to advance level. The time is also flexible. 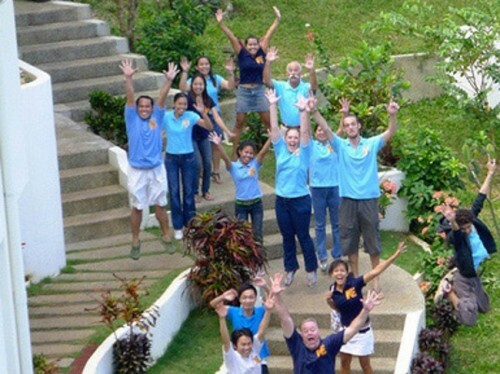 For companies who want to do their team building and staff development activities while giving their staff a great vacation time, Paradise English offers Customer Service Training and English Improvement Program. This program is an 8 hour accumulative program for front desk officers and support staff. The program includes workshops on effective communication, giving directions, dealing with difficult clients, handling complaints, telephone etiquette, and the importance of quality customer service. Part of the program is also to improve the English language proficiency of the front desk officers and support staff. The program is a combination of lectures and workshops, and team building activities which are essential in developing a positive work environment. For teachers thinking of going on vacation on Boracay Island, Paradise English offers training program for English teachers. This program aims to assist teachers improve their teaching skills. This program is a 1o-day program of 6 training hours daily.